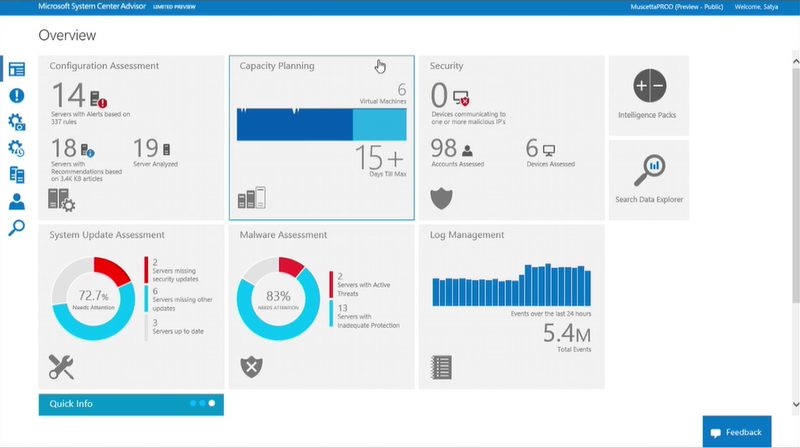 At TechEd North America 2014 Microsoft announced the Limited Preview of a new version of System Center Advisor. Advisor is an online service that can be used standalone, or as an integrated option with System Center Operations Manager. The new version has a complete overhaul of the UI and the promise of delivering new functionality via "Intelligence Packs" which can be added to your subscription to enable new features and/or display information in new ways. Microsoft produces one its best in this version. I have been using this for years. There were no problems till now and I would recommend it to anyone.